We are deeply concerned that the designs of the Eddington Avenue / Huntingdon Road junction and the Bunker's Hill / Huntingdon Road / Girton Road are not safe for pedestrians and cyclists coming and going between the North West Cambridge Development and Girton Village, including both Girton Road and Thornton Road; moreover these designs are utterly inconsistent with the stated aspirations of the University, the City Council, and the District Council, to enhance the transport connections to neighbouring communities. We note that the University’s Transport Strategy  aims to give cycling and walking high priority and states an aspiration for "high quality" solutions, including "safe and convenient crossings for pedestrians and cyclists". We note that the University’s Community Strategy  repeatedly mentions the goal of linking to neighbouring communities through cycling and pedestrian routes. We note that the City and District Councils' Policy [3, NW17, NW18] stipulates that pedestrian routes should be provided that are "direct, safe, and attractive", and that new and enhanced cycle links should be made, "including links to nearby villages". The Eddington / Huntingdon junction design that is being built violates all these aspirations and commitments by singularly failing to include ANY new crossings of Huntingdon Road that are direct, safe, and attractive for people travelling from and to Girton and other destinations in the north-west. 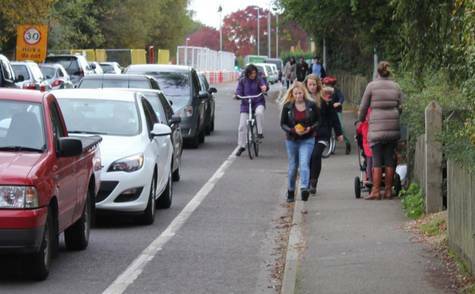 This failure of design to conform to vision and policy is of particularly serious concern because over 100 small children need to cross Huntingdon Road every school-day to go to the University of Cambridge Primary School, and 41 of those pupils live to the North, in Girton. Future demand from the North will only increase over the coming years: based on this year's intake, we expect that in two years' time the school will have roughly 105 pupils who live in Girton; the adjacent nursery will surely also attract cyclists and pedestrians from the North; and all the other amenities on the North West Cambridge site will be very attractive to Girton residents. The Bunker's Hill design is partly satisfactory (albeit not "high quality") for inbound and outbound cyclists and pedestrians heading from and to Girton College, and for confident outbound cyclists heading up Girton Road, but it provides no satisfactory route for young inbound cyclists coming from Girton Road; nor does it provide a satisfactory route for inbound or outbound pedestrians along Girton Road, because there is no safe route to get between the end of the Girton Road footpath and Bunker's Hill. Girton Road and Huntingdon Road are both 3 lanes wide, and both are busy roads from 8am to 9am. We have the gravest concern about the possibility of a tragic accident. Numerous near misses have already occurred. We call on the University urgently (1) to amend the design of the Eddington/Huntingdon junction by adding two new pedestrian and cycle crossings across Huntingdon Road, eliminating the cycle-lane pinch-point, and widening the southern footpath, and to implement these improvements with the utmost speed; (2) to amend the design of the Bunker's Hill junction so as to ensure that all categories of pedestrian and cyclist have a direct safe and attractive route in both directions. We ask the University of Cambridge to change the plans, and the City Council, District Council, and County Council to support and expedite the approval of the satisfactorily revised plans with utmost urgency. This petition was presented to the University on the 3rd of November 2015 (when it had 438 signatures), but it will remain open until our campaign is complete, so please do sign.  "University member" - meaning Member of the Regent House, Graduate of the University, Member of the Faculties, or Person in statu pupillari (i.e. current student). "University employee" - meaning any other person employed by the University. Anybody else - do let us know about your interest in our petition. http://www.nwcambridge.co.uk/files/o1_8_3_non-tech... ; http://www.nwcambridge.co.uk/files/o1_8_2_appendic... Policy NW14; http://www.nwcambridge.co.uk/files/o1_8_1_assessme... Sections 7.5.1, 7.6, 9.6.4.